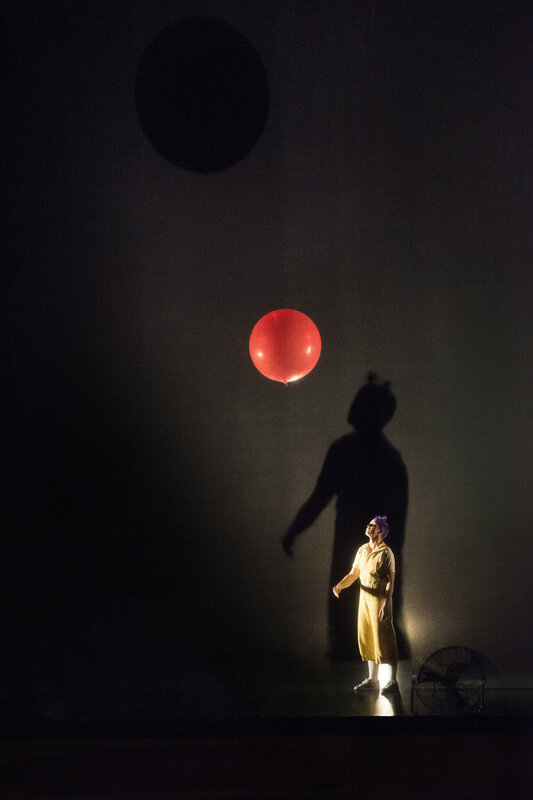 Step into the enchanted world of Air Play, a show that’s perfect for the whole family even some of our youngest patrons (best for ages 5+). Balloons, umbrellas, fabrics and glitter fly above the stage sparking pure delight! Seth Bloom and Christina Gelsone are a husband and wife team that merge circus and street theater performance with sculptural artistry. They met at a circus in Afghanistan, were engaged while street performing in Scotland and married in China. In 2005, they co-founded Acrobuffos, an award-winning theater company specializing in non-verbal comedy performed in outdoor festivals, circuses, arenas and theaters. Since then, Seth and Christina have created five shows, competed at international circus festivals, performed together in 23 countries on six continents, juggled on Late Night with David Letterman, headlined at the Big Apple Circus and were featured in The New York Times. When not on tour, Christina and Seth live in Harlem, NYC. 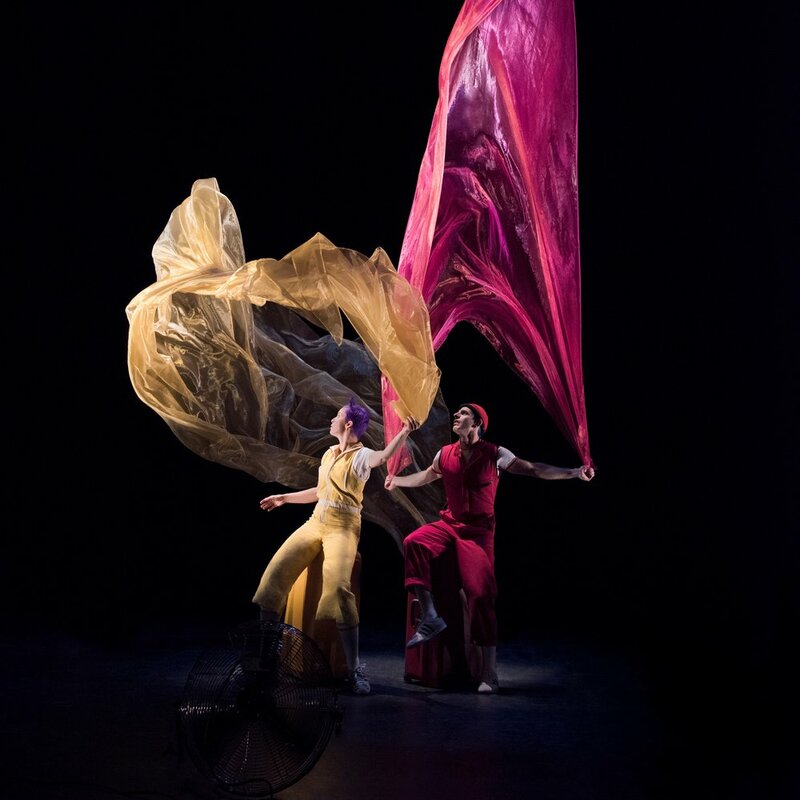 In Air Play, the two embark in a circus-style adventure as two siblings who journey through a land of air, transforming the ordinary into objects of uncommon beauty. Visual images are sewn from the sky and enchant the young and the young at hear with a poetic ode to childhood. Gasp, wonder and laugh until it hurts.